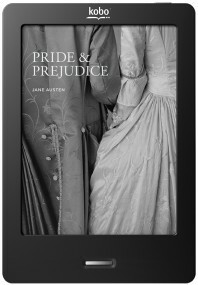 The bare bones e-reader that Kobo released in May 2010 was intended to help sell more of its e-books. In fact, the e-reader was never supposed to be a big part of its business, but now it is seeing the merits of pursuing a hardware business as well. 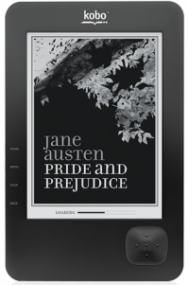 Today, the Toronto-based company is unveiling its latest e-reader, which comes with the same gray-scale displays that the devices are known for, but boasts a touch display. Users will be able to flip to the next page of the book with a swipe of their finger, a much more natural motion than having to use a directional keypad. Starting today, the new Kobo eReader Touch Edition will be available for pre-order at Indigo in Canada and Best Buy, Borders and Wal-mart in North America. It will cost $130, and will start shipping in early June. The company’s first-generation device will be marked down to $100. Kobo, which celebrated its one-year anniversary in December, announced in April that it had raised a $50 million round in venture capital to help it go up against some serious competition. Also pursuing e-books are much larger rivals, such as Apple with the iPad, Amazon with the Kindle and even Google. Additionally, Barnes & Noble, which has invested heavily in the Nook, plans to introduce a new e-reader tomorrow at an event in New York. Humphrey said the decision to produce additional devices does not mean the company is less invested in the digital e-book side of the business. “I think we are a hardware company in the sense that the device is a pure reading device. They aren’t suddenly getting emails or ads, or allowing people to play Angry Birds. Our consumers have told us they like a single-purpose device, and we will continue to meet the needs of our customers,” he said. Other e-readers are morphing into tablets as companies see the success of the iPad, and Amazon is rumored to be working on one of its own. Kobo says it has more than 3.6 million users in more than 100 countries. But it has not disclosed how many of its original Kobo devices it sold, just like Amazon, which also refuses to say how many Kindles it has sold. The biggest hint it provided recently was that it is now selling more e-book titles than paperback and hardback combined. Humphrey would not say if a tablet would be next for Kobo or not. “We have nothing to announce, but we are looking at all the options. We want to enable great reading experiences,” he said.